Steelers Country, set to open within the historic Kennywood amusement park in 2019, is a one-of-a-kind themed land that celebrates the beloved Pittsburgh Steelers football team, while putting fans at the center of the action. This highly anticipated attraction area will feature a number of interactive experiences, games, food and retail offerings to fully immerse guests within the excitement of game day. Many of the land’s physical interactives will allow guests to track their progress and see how they stack up against others via an interactive scoreboard. 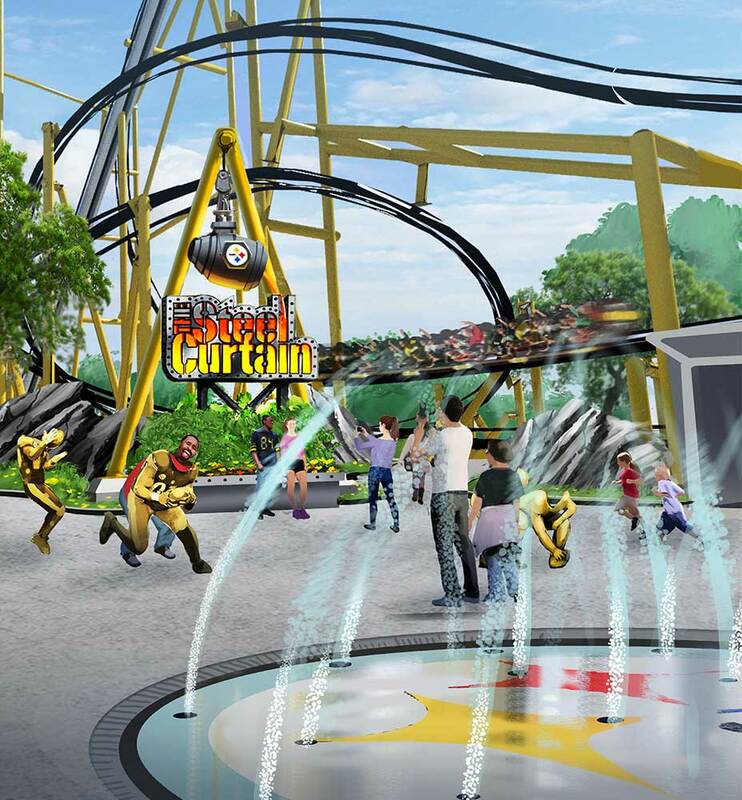 The signature attraction within Steelers Country will be the record-setting Steel Curtain rollercoaster, which will speed guests through 4,000 feet of steel track at 75 miles per hour while navigating 9 inversions – including the world’s tallest at 197 feet above the ground. With Steelers Country, Kennywood and the Steelers are honoring the greatness of the past, while looking toward the future, providing guests with a memorable experience worth repeating – season after season.